Enjoy fine dining in a relaxed and comfortable atmosphere, where every plate achieves that cuisine-defining experience — even dessert. Please call 215.721.6350 to make your reservation. Please call (215) 721-6350 to speak with our wedding coordinator or banquet manager. Catering and special Events are opportunities for us to work with you, and occasions for us to share our dedication, experience, and service with you and your guests. Enjoy fine dining in this comfortable, spacious and unpretentious comfortable room. A large stone, working fireplace greets you and your guests. You'll also enjoy the the many windows and the meadow views. This room is perfect for lager gatherings of all kinds and for those special, important intimate occasions as well. This newly decorated and elegant, private, second-floor dining room allows for 50 guests. The Liberty Bell Room is beautifully appointed. A historic-looking decorative fireplace with a large mirror above gives the room charm and historic beauty. If you and your guests prefer privacy for your special gathering, this is the room. 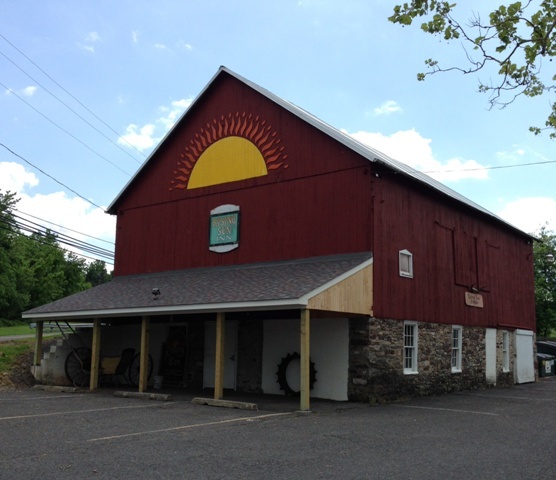 You and your guests will enjoy the rustic charm of the Rising Sun Inn Barn. This venue is perfect for gatherings of all kinds including Family Reunion, Picnic, High School Reunion, Bridal Shower, Wedding, Wedding Reception, Anniversary Party, Baby Shower, Sweet 16 Party, Milestone Birthday Party, Graduation Party, and celebratory life events. The Barn is also a great venue for Paint Party, Square Dance Party, Art Showing, Craft Show, Conference, and Vendor Demonstration. Rising Sun Inn barn is a heated venue (for slightly chillier weather). Please speak with the Banquet Manager regarding availability.